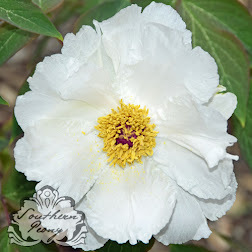 Southern Peony: 2018 Peonies and Digging Dogs Do Not Mix! 2018 Peonies and Digging Dogs Do Not Mix! 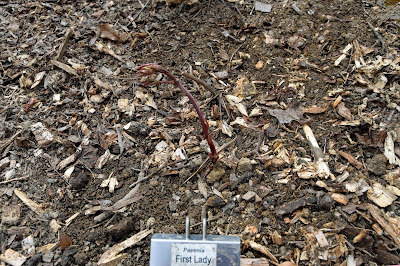 I had just moved a couple herbaceous peonies that were not getting enough sun into a bed with much more sun. 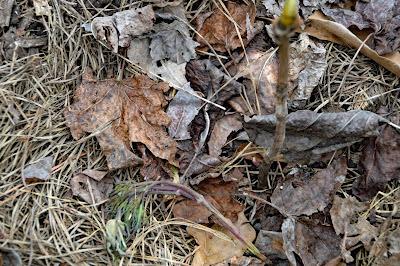 The next day this is what I find! Terrible! 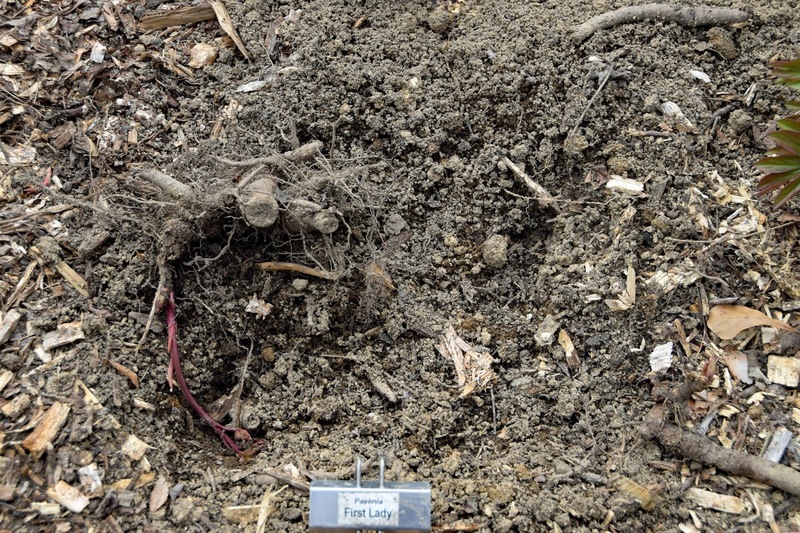 This newly replanted peony root had been dug up, flung from its planting hole, with several of the large storage roots severed, and one pink eye severed as well. 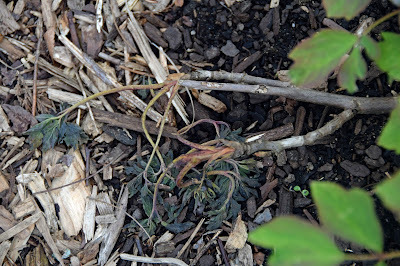 I did manage to get what was left of this peony replanted again, dispose of the severed storage roots, and replace the mulch on it. Then I gave it a good watering. 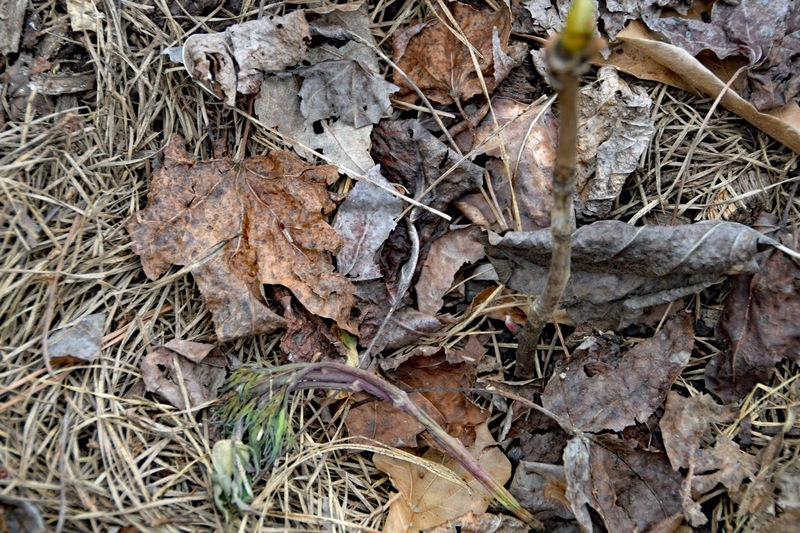 I don't think this peony will be able to bloom this year. If somehow it does, I will let you know. This is just no way to treat a 'First Lady'! We do have leash laws here, but unfortunately many people let their dogs loose to do as they please and destroy other's property. Very unfortunate. 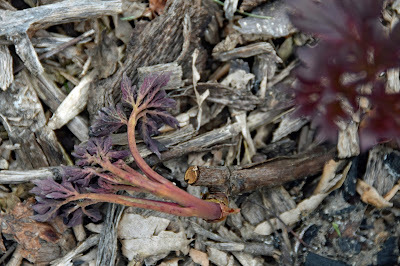 I hope this peony will come back, but it may take a couple extra years now. This seems to be just yet another loss after several other disappointing losses this year. 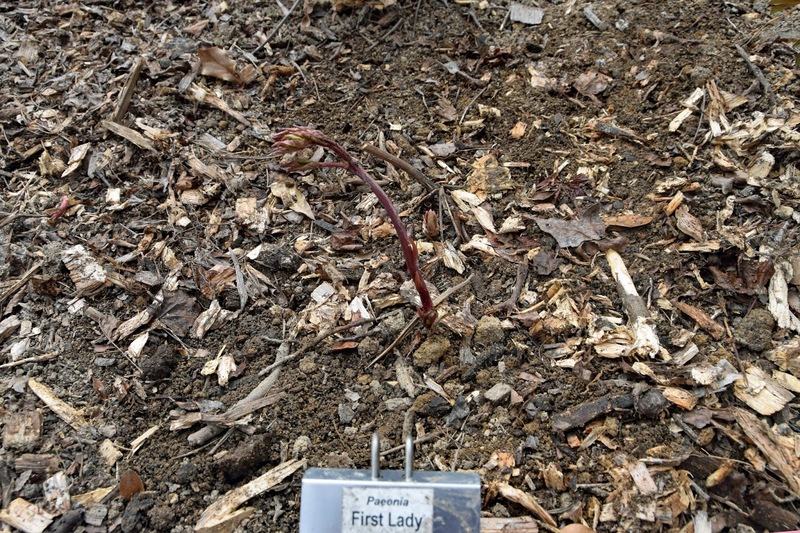 The stems on several of my tree and intersectional peonies have been broken by some wildlife as well, it seems. 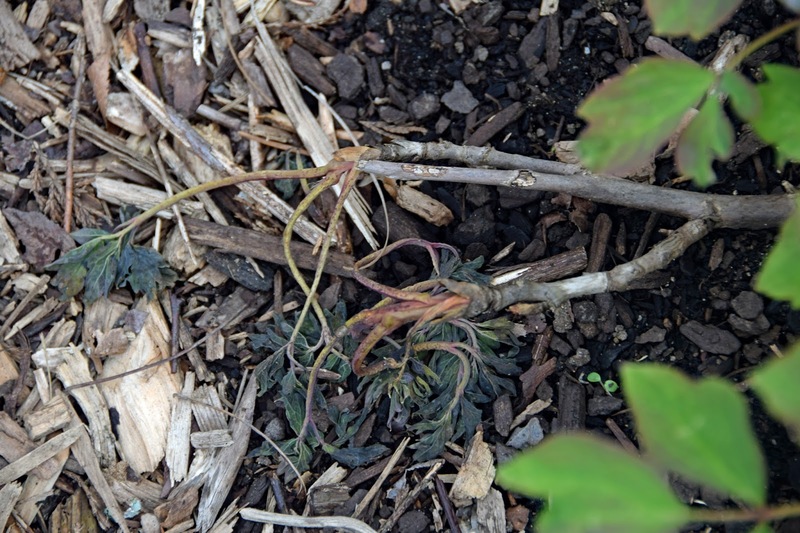 How do you protect your peonies from animals and wildlife? Amazon sells a motion detector sprinkler that puts out a fairly strong jet of water. I set one up for the deer that get too close to the house but managed to get myself and my little dogs more often than the wildlife! I like that it does not harm the animals, though. That's the good part of the solution. Have you found it effective at keeping the deer away from your garden? 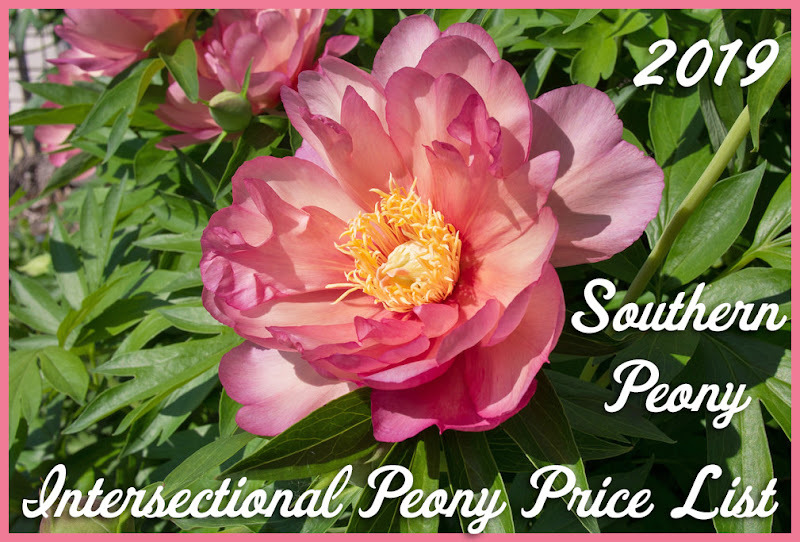 2018 Southern Peony Hits 250,000 Pageviews! !